We are full service investment advisors offering access to a comprehensive range of investment products and services including leading edge research. Our investment account structure is full range from CDN/US $ Cash accounts to Registered Retirement/Tax Free Savings Plans. Our advisors can help you with all your investment needs. 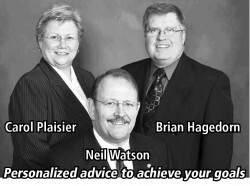 We help you evaluate your insurance needs, estate planning goals and income tax issues. Upon completing this comprehensive analysis, we then help you choose the best insurance solutions for your personal situation. Whatever your needs, we offer access to the highest quality insurance products at competitive rates. Invis Mortgage Services provides access to a complete range of lenders and borrowing options, we make the mortgage negotiation process simple and efficient. We believe that the right mortgage is one that's tailored to your specific need.